Fracture is an inherently multiscale process in which processes at all length- and timescales can contribute to the dissipation of energy and thus determine the fracture toughness. While the individual processes can be studied by specifically adapted simulation methods, the interplay between these processes can only be studied by using concurrent multiscale modelling methods. While such methods already exist for inorganic materials as metals or ceramics , , no similar methods have been established for polymers yet. The ultimate goal of this postdoc project is to develop a concurrent multiscale modelling approach to study the interplay and coupling of process on different length scales (e.g. breaking of covalent bonds, chain relaxation processes, fibril formation and crazing at heterogeneities,…) during the fracture of an exemplary thermoset and its dependence on the (local) degree of cross-linking. In doing so, this project integrates results as well as the expertise developed in the other subprojects and complements their information-passing approach. Using DGEBA/DDS as model epoxy system we aim to combine density functional theory (DFT), molecular dynamics (MD), coarse grained MD (CGMD) and finite elements (FE) in a concurrent multiscale simulation framework for the study of fracture. The individual methods have already been established for DGEBA/DDS in the literature, so we will focus on their coupling. To couple quantum mechanics (QM) to molecular mechanics (MM), we will follow  and perform DFT calculations on a subset of atoms when a certain (strain/distance) criterion is reached to determine whether chemical bonds in the MM description should be broken. The atomic interactions will be modelled by the consistent valence force field (CVFF) . We will follow a coarse graining approach similar to , , using a combination of interaction potentials. First, the MM region will be embedded in the CGMD region. We plan, however, to create an adaptive version of the CG/MM method, where depending on changes in energy, bond length and angles as well as velocity certain regions are treated either as CG or MM. The CGMD region is then finally coupled to a continuum using the recently developed pseudo amorphous cell (PAC) method , . R. E. Miller and E. B. Tadmor, “A unified framework and performance benchmark of fourteen multiscale atomistic/continuum coupling methods,” Modelling and Simulation in Materials Science and Engineering, vol. 17, no. 5, p. 053001, 2009. N. Bernstein, J. R. Kermode and G. Csányi, “Hybrid atomistic simulation methods for materials systems,” Reports on Progress in Physics, vol. 72, no. 2, p. 026501, 2009. S. Barr, G. Kedziora, A. Ecker, J. Moller, R. Berry and T. Breitzman, “Bond Breaking in Epoxy Systems: A Combined QM/MM Approach,” in APS Meeting Abstracts, 2016. P. Dauber-Osguthorpe, V. A. Roberts, D. J. Osguthorpe, J. Wolff, M. Genest and A. T. Hagler, “Structure and energetics of ligand binding to proteins: Escherichia coli dihydrofolate reductase-trimethoprim, a drug-receptor system,” Proteins: Structure, Function, and Bioinformatics, vol. 4, no. 1, pp. 31-47, 1988. S. Yang and J. Qu, “Coarse-grained molecular dynamics simulations of the tensile behavior of a thermosetting polymer,” Physical Review E, vol. 90, p. 012601, 2014. Z. C. Su, T.-E. Tay, Y. Chen and V. B. C. Tan, “Multiscale Modeling for Amorphous Materials – Mapping Atomistic Displacements to Macroscopic Deformation,” International Journal of Applied Mechanics, vol. 04, no. 04, p. 1250037, 2012. 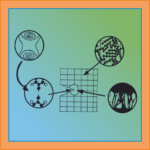 V. Tan, X. Zeng, M. Deng, K. Lim and T. Tay, “Multiscale modeling of polymers – The Pseudo Amorphous Cell,” Computer Methods in Applied Mechanics and Engineering, vol. 197, no. 6–8, pp. 536-554, 2008.